Cleaning your roof is a chore that often goes unnoticed. With the hectic day to day life many of us live, cleaning your roof seems unimportant in comparison. However, it is a good idea to frequently get up there and do some cleaning. 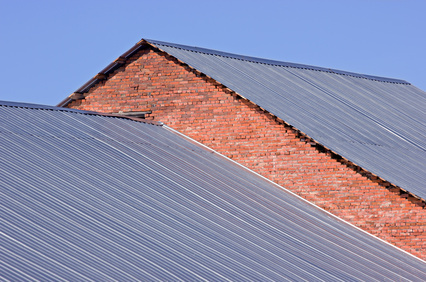 This can prolong the lifespan of your roof and keep it performing as well as it can. There are a few different cleaning methods to utilize depending on what is happening with your roof. Debris removal is one of the most basic roof cleaning jobs. Use a leaf blower or garden hose to get the debris off of your roof. Avoid pressure washing, as that can cause all sorts of damage. The leaf blower works best if the debris is dry. If there is stubborn debris that won’t come off, you can also use a broom to sweep everything away. The cleaning method for moss is determined by how long the moss has been up there and the type of roof you have. If the moss is recent, you may be able to broom it off without too much trouble. However, moss killer may be required if it is sticking up there. If the moss has embedded itself into your roof, a moss killer, either chemical or organic, will be required. As the moss falls off, it can take parts of your roof with it, damaging the shingles. If this happens, call in a professional contractor to help you with repairs. There are several products available that can help with algae removal. Many are bleach-based or biodegradable. The bleach products are generally faster to work than the biodegradable ones, which may require multiple applications to be effective. Mix the product in your garden sprayer, spray the area of concern, and rinse everything off after a few minutes.